Well, almost. Maybe with a little less drama? That said, at present the only words I seem to be dealing in are answers to questions. (Great questions & both they & my answers coming soon to an interview blog near you.) It’s part of the ‘author’ thing & I’d be lying if I said I wasn’t enjoying the fact of being asked. Of course I am. And it’s lovely getting to know my sister writers at Honno. I was invited to my first Author Group lunch last week & made to feel like one of the family. There is a lot to be said for small independent publishing houses. Everyone knows everyone. I appreciate it more than I can say. What a great group of women writers: talented, generous & encouraging. What with one thing & another, this is an amazing experience which I am determined to embrace & enjoy. The days are flying by & I am flying with them. It is also true to say I’m keen to get on with my next book. Even when I know what I’m going to call a new story, I still give it a working title. 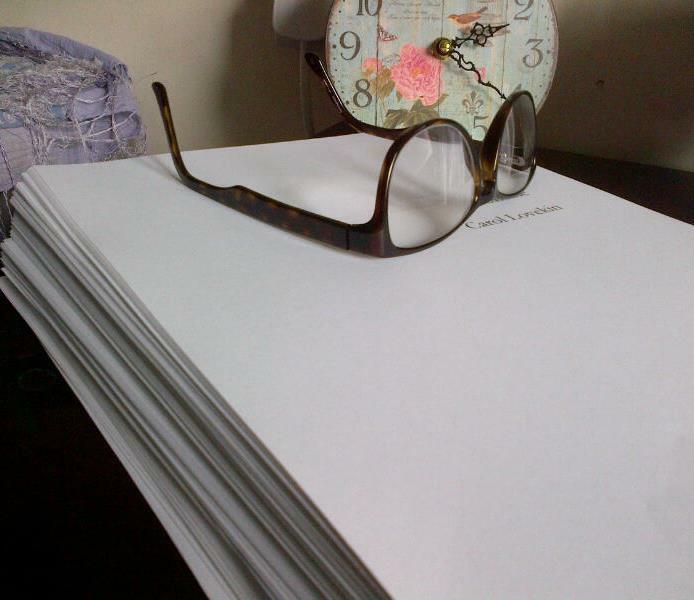 The current manuscript is nicknamed RiverBook. When I set it aside – to bask in the momentary ‘glory’ of Getting a Book Deal – it stood at 79k. There have been days recently when I’ve wondered if I’ll ever find time to get on with it & make it to 90k which is roughly my goal. Fortunately these moments are rare & I take heart from other writers who assure me, if you have another draft in progress, at this point in the publishing process it’s normal for the wordcount to suffer. I need to crack on though. See if I can do it. And however RiverBook looks when I do get back to it, it’s good to know I have an almost complete first draft to focus on. It’s a mess, but it’s my mess & I can’t wait to dive in again. Unlike Mrs Woolf, I’m not remotely concerned about ‘darkness’ or the lack of regular writing. I think I understand what she meant though. When I’m not writing regularly there is a sense of something missing. I definitely need to conjure some smoke.